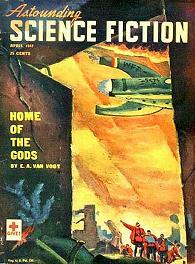 H. Beam Piper (March 23, 1904 - November 6, 1964) saw his first published story, "Time and Time Again," appear in the April 1947 issue of Astounding Science Fiction (ASF). In his relatively short career he would produce some of science-fiction's most popular and beloved stories, including his "Little Fuzzy" stories and novels (from which the cute little Ewoks from Star Wars are said to have been inspired), the novel Lord Kalvan of Otherwhen, Space Viking, and numerous others, not least of which were his "Paratime Police" stories. Due to financial problems, or hate for his ex-wife (he may not have wanted her to collect on his life insurance policy)--or both--Piper covered the walls and floor of his room with drop cloths, not wanting to leave a mess, and blew his brains out. 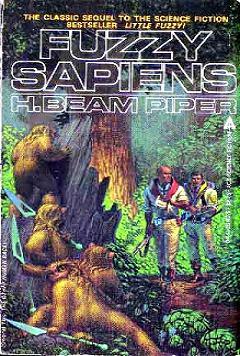 His work influenced several science fiction writers, one of whom was the enigmatic, disturbed writer F. Gwynplaine MacIntyre (1948 - June 25, 2010) who parodied Piper's Paratime Police stories with a series of his own published in Analog, known as the "Paradox Patrol" stories. MacIntyre (or "Froggy" as he was affectionately known) had also endured recurring financial problems (not uncommon to writers), and whether this was the primary cause of his own suicide, or merely contributed to it along with other factors, it is clear he was familiar with Piper and his work--and Piper's "clean" suicide. Unlike Piper, however, MacIntyre left quite a mess as he burned himself to death in his apartment, setting the whole place on fire. 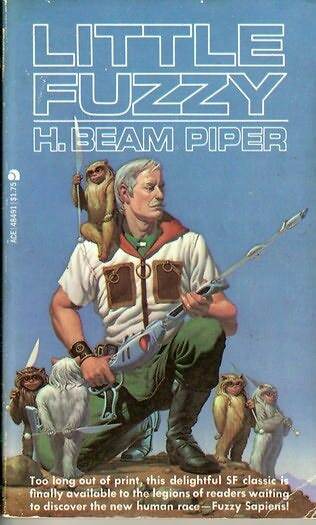 Perhaps a warped parody of Piper's own "clean" suicide much as MacIntyre parodied one of Piper's most popular series of stories? No one will ever know, but we can't help but think there might have been, just perhaps, at least some tenuous connection in the method of suicide...somewhere. In any case, and despite this stray notion, both talented writers are no longer with us and the loss is ours. "Time and Time Again" is, as you might imagine, a time travel tale, an SF trope Piper would return to many times in his later work in one variation or another. The central story takes place during WW II but begins in the future, in the year 1975 during the third World War, or the "Great War" as Piper names it. An enormous explosion has horribly killed or wounded many soldiers, and as they are dragged from the battle field and tagged, one young soldier is found to be still alive. He passes into unconsciousness...and wakes up in the body of a thirteen year-old boy on his birthday...in the past, long before the events of the Great War will have taken place. What transpires next is a wonderful tale of how one man (or boy) attempts to change the future. It is at once charming, poignant, and ultimately uplifting. X Minus One aired "Time and Time Again" on January 11, 1956. 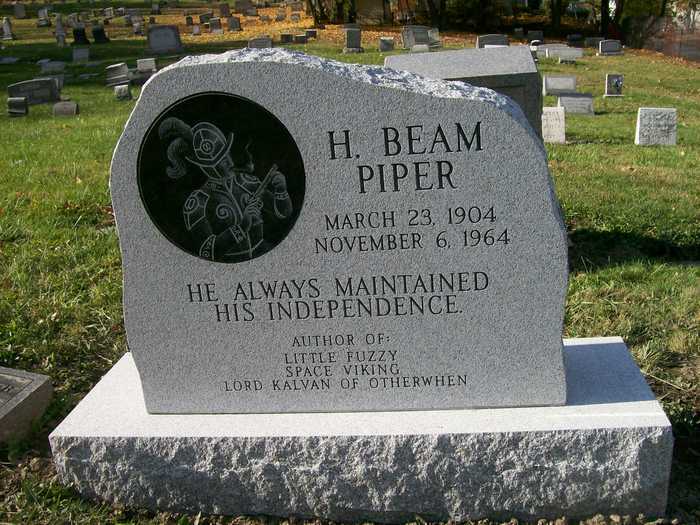 We find it fitting to present it to you once again on the 46th anniversary of Piper's demise, November 6, 2010.